Bet365 Poker Reaches Top of RMB.com Online Poker Room Safety Rankings List / Italian International Roulette Cheats Walk With Slap on the Wrist! For the first time since the inception of RMB.com online poker safety ratings, Bet365 Poker has hit the # 1 rank and is now considered the safest online poker room on the Internet. Congratulations to them and continued success keeping the cheating down to a minimum. As I had expected, 61 year-old Frank Camilleri and 64 year-old Francesco Baioni, the two longtime professional roulette pastposting cheats from Italy, have received no jail time after pleading guilty in court to various casino cheating offenses on roulette tables throughout the UK. What I failed to mention in my previous article about the Italian casino-cheat pair is that they have already done prison time in the US for cheating at roulette in American casinos, though I don't have details on these events. This light jail sentence goes to show the UK's continued leniency in dealing with convicted casino cheats. Obviously British courts hold casino gambling with disdain and are unwilling to severely punish casino cheats caught at the tables. So I guess if you're a casino cheat, the UK is a great place to work if you can get your moves down. Had this Italian cheating pair been found guilty in the US, they might have been sentenced to as much as ten years in prison, where they might have had to resort to cheating in one of Nevada's prison casinos. See post about prison casinos below. Tale of True Organized Nevada Prison Casino...Do You Think Any Cheating Went On?...LOL! Before receiving a gaming license, an applicant must undergo a thorough investigation by the Nevada Gaming Control Board. They routinely are rejected if they have a criminal history or have associated with unsavory characters. So then, how did inmates -- every one of them a convicted criminal -- at the Nevada State Prison in Carson City operate their own casino for 35 years? Yep, blackjack, craps, poker, gin rummy, even sports betting were available as recreational activities for the inmates at the state's maximum security prisons between 1932 and 1967. Inmates operated the "Bullpen," a stone building converted into a casino, on the grounds of the 140-year-old state prison in Carson City. Sometimes the local Kiwanis Club and state agency heads even stopped by the prison casino to drop a few coins. For most of those years, the Nevada State Prison was the state's only prison, even housing death row. Former Mustang Ranch owner Joe Conforte, now a fugitive living in Brazil, even ran some of the games when he was a prison inmate there in 1962. "It was a different time," said Dennis Neilander, chairman of the Gaming Control Board. "They thought it would keep them out of trouble. It wouldn't happen today." Neilander said that before 1959, gaming control largely fell on county sheriffs. Nevada also had a long history of tolerating gambling even before it became the first state to legaIize gaming in 1931. Inmates will gamble, regardless of whether it is legal or illegal, and prison gambling did keep them out of trouble, said Carl Osborne, a Las Vegas bus driver who has accumulated a collection of Nevada State Prison tokens, called "brass" by the inmates. "I think the games would have been more than honest, because cheating inmates would be scared of the consequences," Osborne said. "If someone got caught cheating, they might have to be transferred out of state for their own safety. You wouldn't have been very safe there." Obsorne, 61, served a short stretch in the Nevada State Prison in the early 1990s and got to know some of the older inmates. Even during his time in prison, sports betting was rampant. Buying prison tokens has become something of a challenge for Osborne. They are becoming increasingly rare. Occasionally they appear for sale on eBay. His winning bids typically are in the $200 range for a single token. When Warden Carl Hocker -- a transplant from the California prison system -- closed down the casino in April 1967, he also quickly sold off the brass, which came in denominations of 5, 10, 25 and 50 cents, $1 and $5. "I think gambling in prison is a degradation, and it's certainly not constructive," Hocker said, according to newspaper accounts. "We're trying to replace it with constructive, wholesome activities that will contribute to a decent, healthful state of mind." Hocker's idea of wholesome activities were handicrafts, bridge, chess, pingpong, volleyball, shuffleboard and making bead necklaces. But Howard Herz, a Gardnerville resident who is the state's foremost expert on gaming tokens, has written about the prison casino and found perhaps the real reason for the casino closure. There had been a riot at the prison early in 1967, and several legislators had introduced a bill to close down the casino. Hocker was a veteran of San Quentin and a no-nonsense guy when it came to discipline. Herz also pointed out the Bullpen wasn't an illegal casino, but one sanctioned by the state prison. The backgrounds of all gamblers had been checked. "All of the gamblers had their fingerprints on file, and security was excellent," Herz wrote in Casino Chip and Token News in 2006. The casino closure bill wasn't needed once Hocker took pre-emptive action and bulldozed the Bullpen. State Archivist Jeff Kintop said surprisingly little was written in newspapers about the prison casino up to the time it was closed. He said the thinking of most wardens was gaming would keep inmates out of trouble. "I guess gambling is one of those necessary evils," Warden Jack Fogliani said when he came to the prison in the 1960s. The thinking of legislators, according to Assemblyman Howard McKissick, R-Reno, was that gambling prevented "homosexual problems." Frank Johnson, a Nevada State Journal columnist, contended in a funny January 1960 column that it was common for reporters somewhere around the country every few months to discover the prison casino and write how awful that was. "It has been months since the press has been around to expose my gambling den," Warden Art Bernard said in Johnson's column. "I am getting lonely." Bernard, it seems, was called on regularly to justify the prison casino. He told one reporter in 1957 that it was impossible to prevent gambling by convicts and that the prison casino was supervised by prison guards. "These guys are experts," Bernard said about the inmates who ran games. "You can be sure they allow no cheating whatever." Profits went to the inmate welfare fund. Herz said each inmate who operated a game needed to have enough money to bankroll the game and receive the warden's approval. He also had to pay a fee of $25 to $75 per game every six months. "That was a lot of money back then," Herz said. "Any inmate that had money could play. They invited guests to come in and play." Under Conforte, horse racing was added to the list of prison casino games. Sports betting was expanded to include all collegiate events. That all would end when Gov. Paul Laxalt brought in Hocker as warden. The old state prison itself could end up like the Bullpen in 2011. Gov. Jim Gibbons tried to close it twice in the last two years, only to be rebuffed by the Legislature and the Board of Prison Commissioners. Gibbons contended closing the 703-inmate medium security prison would save money, although correctional officers challenged his estimates and contended there is no safer prison in Nevada. Under Gibbons' plan, correctional officers would be transferred to other prisons, as would inmates. With the state facing a $1 billion to $3 billion revenue deficit, closing the prison likely will be on the agenda for the next Legislature. Osborne is a history buff. He thinks it was a mistake to close the prison casino. He also realizes that not many Nevadans are around today who remember the era of legal gaming in the state prison. "Virtually no one realizes we had a casino in our prison," he said. "But it is in our history. It shouldn't be forgotten." Descendants of Infamous Italian Roulette Pastposting Team Facing Various Casino Cheat Charges in UK! I have stated that the best casino cheat move I have ever seen (besides my own Savannah, of course) is the roulette pastpost slide that was done by at least two generations of Italian casino cheat families. If you don't know, after Americans, Italians make up the largest population of organized casino cheats in the world. Whether or not this has anything to do with Mafia heritage, I don't know, although some Italian casino cheat organizations have been linked to Italian organized crime. Two Italian casino cheats facing trial in the UK are descendants of one of these families, though I must point out that they have never had anything to do with the main Italian roulette cheat teams I knew back in the 70s and 80s. They are clearly not that good. If they were, they wouldn't be facing all these casino cheat charges in London. 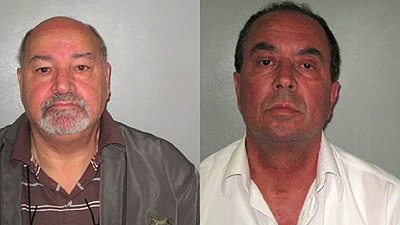 As it is, the two, Frank Camilleri, sixty-one, and Francesco Baioni, sixty-four, both with UK addresses, have pled guilty to 20 casino cheat charges including possessing fake ID documents to enter UK casinos they were already barred from. In addition to this, they have admitted to roulette pastposting crimes dating back over two decades. Investigators believe the pair have worked casinos all over the world. 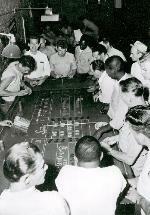 Their method is to place late wagers in roulette after the ball lands in a number slot, though I do not believe they were using the famed slide technique. My take: I never thought I'd hear about anyone related to the great Italian roulette cheat teams of yesteryear getting sentenced for any casino crimes, but times do change, and obviously these two guys were mere knockoffs of their familial predecessors. They will probably get off with slight jail time or suspended sentences as the UK justice system is not harsh with casino cheats. 2010 Thanksgiving Casino Cheat Turkey of the Year Awards! 2010 CHEATING TURKEY OF THE YEAR AWARDS! THIRD PLACE: Goes to B.M, an American surveillance executive who botched up a simple casino cheating move during one of my game protection seminars. I spent several hours preparing B.M. 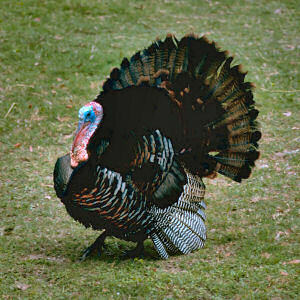 to do this blackjack ten-oh-five on a blackjack table in front of his surveillance staff (unbeknownst to them), but he fowled (pardon the turkey pun!) it all up and actually got caught by one of his own surveillance staff. The use of his initials is to protect him from further embarrassment. SECOND PLACE: Goes to Jonathan Sanner, Jason Peterson, Thomas R. Kordick and Scott Marshall, all ex-supervisors at the Planet Hollywood Casino in Las Vegas who ran a phony poker jackpot scam and collected the winnings themselves. They netted a mere $2,100, and for that lost their jobs, face possible prison time and embarrassed themselves and their casino fellow workers. TURKEY SHAME on them! THE WINNER is Walter Bansley IV of New Haven, Connecticut, a scion of an old and well-to-do family of lawyers and judges. Bansley IV, who despite the regalness of the Roman numeral IV after his name is the first known casino cheat having a Roman numeral greater than III, was caught pinching (snatching a losing bet off the layout) a lousy $10 bet of a craps layout...that after having already been ahead more than four grand at the MGM Grand casino at Foxwoods. Now THAT is REALLY embarrassing, not only to himself but to his entire well-respected family! And Don't Cheat the Turkey!! Foxwoods Latest Baccarat Cheat Scam Fallout Widens Across America's Major Casino Areas! The two baccarat-cheat Koreans arrested a few days ago at the MGM Grand Foxwoods Casino in Connecticut are now believed to be tied to a major international baccarat-cheating ring similar to the infamous Vietnamese Tran Organization, which set the casino-cheat world ablaze for the five years 2003-2007. Yesterday they were arraigned on various casino-cheat charges in New London, not far from Connecticut's Foxwoods and Mohegan Sun casinos, the latter of which was also victimized by the baccarat scam using electronic devices. A total of four Korean casino-cheat suspects were arraigned. State of Connecticut prosecutor Peter McShane said the suspects in the baccarat cheating scam defrauded Foxwoods and Mohegan Sun casinos out of nearly $1 million. He identified 60 year-old Young Su Gy as the mastermind of the baccarat cheat operation. Thirty-four year-old Wookyung Kim is pegged as Gy's right hand man. Judge Kevin McMahon used a Korean interpreter by phone in his courtroom. He indicated that the Korean cheat group is suspected of baccarat cheating crimes in Las Vegas, Atlantic City, the Caribbean and even Europe. Fifty-five year-old Korean Ingyu Park and sixty-three year-old Korean Sun Jang were also arraigned in the case and are being held on $500,000 felony warrant bonds out of New Jersey, both for casino crimes. They are accused of cheating heavily at the mini-baccarat tables in Atlantic City's Bally's casino, a haven for high-rolling Korean baccarat players. Which is the Best Shift for Poker Cheats and Casino Cheats to Work Brick and Mortar Casinos and Poker Rooms? You might simply assume that the best shift to cheat live casinos is the swing shift because that's simply the busiest shift for casinos. While that is indeed true it doesn't always mean that professional casino cheat teams prefer to work the swing shift as a priority. Although it is usually best for cheat teams to work busy casinos simply to blend in better and camouflage their cheat moves, sometimes the busy casinos prove burdensome for organized cheat teams, especially when they consist of three or four members working to do the moves. They may find it nearly impossible to secure their places at the tables. This is especially true of roulette wheels where three or four cheats are needed to work well-orchestrated moves. Other slower times such as the graveyard shift offer cheat teams a more relaxed atmosphere where pit personnel and dealers are friendlier and less on-guard for cheating. When moves are very strong and don't require more than one or two team members to pull them off, the graveyard can be the ideal shift. So really there is no specified "best time" to cheat casinos if you are a good cheat working alone or with a team. It depends on many factors including move-difficulty and room required at the target table. If you are not such a good cheat it is probably better to work the crowded casinos in as much as you can disappear quickly into the throng if you have a problem and need to get away from the pit personnel's view. One negative about empty casinos for ALL cheats regardless of number and skill: If you have to get the hell out of "Dodge" on the quick and bolt across the casino, you are going to stick out like a sore thumb and have a heck of a time getting away! Phil Hellmuth to Sever Relationship With UB.com To Get Away From Poker Cheating Brand! Apparently Phil Hellmuth, one of the most recognized poker pros in the world who has been affiliated with UB.com (ex-UltimateBet.com) for some time now and been wearing the UB garb and ball cap at every poker event he plays in, is about to announce that he will end his relationship with the giant online poker company most known for the world's biggest online gambling scam. Hellmuth has not announced any immediate plans what he might do immediately afterward, but industry insiders expect that he will be involved in the launching of a new major online poker room (cheat free of course!) that will pay him a large percentage of the profits without any capital investment from Hellmuth--a very sweet deal indeed. My take: Hellmuth has always been as phony as they come, especially in his dramatics involving his staged confrontations with fellow poker pro Mike Matusow. The bottom line is that even though it does Hellmuth good to separate himself from UB and its cheat-plagued reputation, he is only doing this to make more money elsewhere.